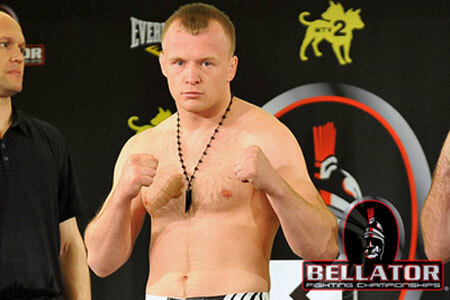 On Wednesday, it was announced Bellator middleweight champion Alexander Shlemenko (pictured) will defend his throne against Doug Marshall at Bellator 108. The November 15 event takes place inside Revel in Atlantic City, New Jersey. Marshall earned his crack at the crown by running through Bellator’s Season 8 tournament, which included two first round knockout finishes. “The Rhino” is perfect through his past four fights. Shlemenko will be riding an 11-bout winning streak into the tango. He was pushed to the limit by Brett Cooper last month, but managed to pull out a unanimous decision victory when the dust settled on their shootout. Spike.com will stream the preliminary card live starting at 6PM ET/3PM PT. Spike broadcasts the featured bouts at 8PM ET/PT on Spike TV.